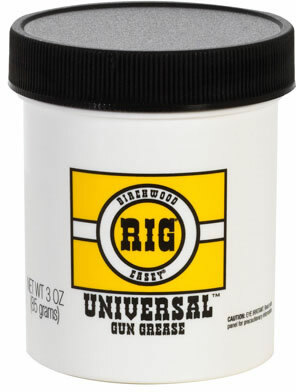 A thin film of RIG Universal gun grease will help keep your firearms rust-free. One thorough applicator of RIG Universal Gun Grease inside and out will protect your rifle, handgun, shotgun or muzzleloader against rust and corrosion. RIG Universal Gun Grease is a superior firearm lubricant and preservative.